Main image of blog titled What Should You look for in a Family Practice Clinic written by Bluesteam Health. The best advice we can give is to ask your most trusted family and friends about your concerns and make establishing a relationship with your family practice doctor a priority. Your family practice doctor can give you healthcare advice to keep your growing family on the right path. What is an Integrated Family Medicine Clinic? At Bluestem Health, we have several integrated family practice clinics. That means we care about your overall well being -- your medical, behavioral, and dental healthcare, as well as resources for family success. We have four locations in Lincoln, Nebraska, each of which is a family practice clinic. Our family practice clinic in the South part of Lincoln, NE is the Thompson Clinic. This family practice clinic began in 1985 as Richard J. Thompson, MD Family Practice. For 30 years, Dr. Thompson provided family medicine to patients in Lincoln. In 2015, Dr. Richard Thompson’s health issues resulted in his early retirement. The Thompson Clinic was put in touch with Brad Meyer, CEO at Bluestem Health and a plan was put into place for Dr. Thompson’s patients and staff to become part of our organization. The Thompson Clinic’s current providers are Michael Israel, MD, and Marissa Ebel, APRN-NP, Family Nurse Practitioner. Both providers at our Thompson family medicine clinic enjoy providing family medicine in Lincoln, NE. Dr. Israel was recently named Young Physician of the Year by the Nebraska Medical Association. Bluestem Health has two family practice clinics in central Lincoln. Health 360 is located at 2301 O Street. This clinic is a partnership between Lutheran Family Services and Bluestem Health. Providers Arianne Gesell, PA-C, Physician Assistant, and Maria Moreno Cabasos, APRN-NP, Family Nurse Practitioner are ready to meet the integrated health needs of you and your family. Bich Chau, MD, Family Medicine, bring decades of family medicine experience to your family. Our newest clinic, Bluestem Health Kreshel Clinic, is located at 3100 N. 14th Street, Suite #201 in north Lincoln. Bluestem Health Kreshel Clinic offers the Belmont Community family medicine, obstetric care, immunizations, contraceptive services, lab testing, x-rays, and more. Dr. Kreshel and his team of providers have been offering family medicine to patients for over 30 years. We couldn’t be prouder to have the Kreshel team as part of our Bluestem Health family. Our four family practice locations in Lincoln, NE are newly remodeled and staffed with caring professionals. 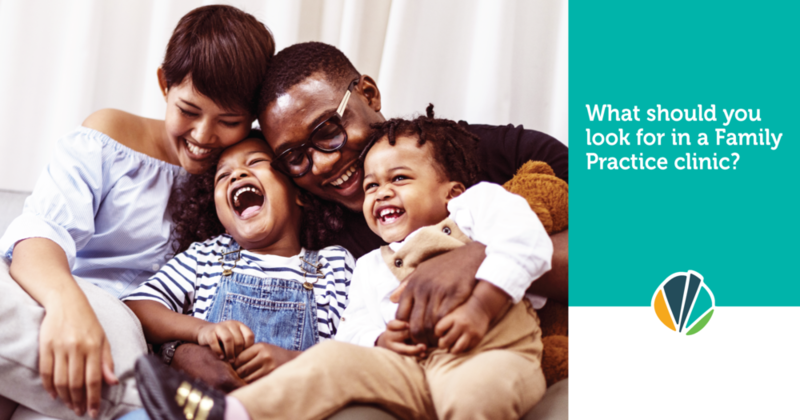 We look forward to helping you find the right family practice clinic that is perfect for you. Call today: (402) 476-1455 or visit us online at bluestemlincoln.com.